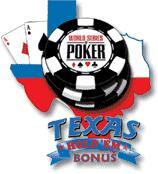 Texas Hold’Em Bonus is a poker-based table game where the player’s 2 hole cards compete against the dealer’s 2 hole cards when combined with a community 5-card board. The players at the table compete only against the dealer, not against each other. The player must Ante before receiving cards. The player looks at his hand, then decides to either fold it (i.e., surrender the Ante), or to bet 2x the Ante and play it. The flop is then dealt. The player next decides to either 1x bet his hand, or check. The turn is then dealt. The player again decides to either 1x bet his hand, or check. Finally, the river is dealt, and the dealer turns up his hand. If the player has the better hand, he receives even money on all his post-flop bets. The Ante only pays even money if the player has a straight or better, else it pushes if the player wins. If the dealer beats the player, the player loses all his bets. All bets push on a tie. The following strategy attempts to provide a small set of rules for when to bet your hand. The strategy is broken down for the preflop, flop, and turn betting rounds. Furthermore, the strategy is sub-divided per betting round according to the texture of the board (i.e., paired, suited, double-paired, etc.). Even though the set of betting rules seems large, once you get enough practice with the game, you’ll probably remember most of them. 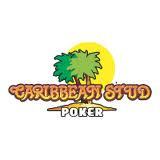 The terminology used in the strategy is borrowed from the poker world. If you’re experienced in poker, you’ll find the strategy easy to understand, and eventually, to remember. The strategy simulates at a 2.3% house edge, compared to the theoretical 2.037% edge. That’s very good performance, given the challenge of finding a compact set of betting rules for all the possible hole card and board combinations. Fold only 2-3 thru 2-7 offsuit. Play (2x bet) everything else. The following rules determine your decision to bet 1x after the flop. Bet 2nd nut kicker or better against a three-of-a-kind flop. Always bet pocket 4’s or better. Bet 3’s if there’s a deuce (i.e., an under card) on board. Always bet any two pairs or better against a paired flop. Bet any pocket pair against an offsuit, unpaired flop if there’s an under card on board, or you have a straight or flush draw. Bet 5’s unless the board shows any possible straight. Bet 6’s unless the board shows two possible straights (1 gap). Bet 7’s unless the board shows three possible straights (no gap). Always bet 8’s or better. Bet any pair or better against offsuit flop. Against an unpaired flop, you should bet a hand with both 1st and 3rd kickers or better only when there’s no possible straight on board. Bet any pocket pair if there are two under cards on the board, or you have a flush draw. Bet 8’s, 9’s if there are any under cards on board. Always bet 10’s or better. Check bottom pair on a suited flop unless you also have a flush draw. Else bet your hand. Against a suited flop, you should never bet just kickers. The following rules determine your decision to bet 1x after the turn. Bet 3rd nut kicker or better, else check. Bet 2nd nut kicker or better. Bet nut kicker or better. Bet 2nd nut kicker for 8’s and 5’s or better on board. Bet pocket A’s if there’s no possible straight on board. 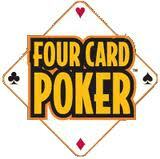 Otherwise, only bet two pairs or better against a 4-flush board. A scare straight board is when there’s an open-ended straight on board. For a paired board, you should bet the turn according to the following rules. You should bet any two pairs or better against a paired board on the turn. Against a paired board on the turn, you should bet Ace or King nut kicker when no possible flush on board, and both your hole cards play. Finally, for an unpaired, non-scare board, you should bet the turn according to the rules below. You should never make a turn bet with only kickers on an unpaired board. I assume this is a question about the bad beat jackpot in Texas Hold’Em poker, and not about the Texas Hold’Em Bonus casino game. I may present some numbers on jackpot frequencies in a later post, if someone else hasn’t written about it already. I actually went today and played this version at a new casino in Illinois. I got pretty lucky, I mean I used basically my Ultimate Hold-em betting pattern to play. People were calling me lucky because I was betting Q10 on a AK2 flop, and when I river a straight or pair they would say I was lucky. Watched a guy flop top pair of kings and bet it, turn is a ace, he checks. Even the dealer asked him why he checked. I told him if you’re not gonna bet second pair all the way down on a dry board, you should go home. I had a good run on this game though today, was playing 100 and then 200 to go to flop, only hand I folded was 27. I turned 600 into 3100 within 2 hours. In this game do you follow the same betting as UTH, when it comes to Ak/k5 off suit etc. Just bet it on every street no matter what, seeing how the all in hands are gonna be better then the random hand?? These hands are -EV, but you’re better off playing them than folding them. However, these are probably hands that you should probably use collusion info to play. Maybe I’ll make a post about a simplified Texas Hold’Em Bonus strategy, including collusion. 1. Between UTH and THB, excluding trips and bonus bets, which game has the lower bankroll variance. 2. If we excluded hitting a royal flush, which game offers the lower house edge. If not,, do you know of any online sites to play THB. I’m new to this game and saw a table of elderies playing it last week. They seemed to be sharing information about their hole cards to the other players at the table. I’m just curious about the effects on the house edge if a player acquire knowledge of the other 5 players’ hole cards. You don’t get much edge from other knowledge of other player’s cards in Texas Hold’Em Bonus. There are probably a few rare cases where you might fold a weak pre-flop hand (like 74o) if your cards are copied too many times. And maybe there’d be a few rare cases where you’d be better off checking a draw, but the info just doesn’t help much. I’m not sure I’m interpreting this correctly. The way I read it, you’d bet bottom pair with one possible straight on the board, but check third pair with one possible straight (gutshot) on the board. This doesn’t seem logical. Also, the way I read it, you’d check 3rd pair with a gutshot board, but bet 3rd pair with a possible flush or open-ended straight on the board. This is surprising, though I see how it could be correct: you either want no chance of a flush or straight, or a good chance for a flush or straight. But, as I said, this is surprising, so I just wanted to make sure I’m interpreting this correctly. This part of the strategy (turn bet, unpaired board) is correct. I just simulated these cases to double-check. Betting the turn with 3rd pair and a gutshot board is slightly negative (a little better than -0.5%). You can bet bottom pair if there’s no possible flush on board, and there’s at most 1 possible straight on board. This is different from a gutshot board. For example, 3s Th Kc As is not a gutshot board, but the dealer can have QJ to make a straight. The dealer needs two hole cards against a possible straight board, but only needs one hole card on a gutshot board. The return for betting in this case (bottom pair, one possible straight on board is about +3.3%). Also, don’t forget, there’s a separate section each for when to bet a scare flush board (suited board), and a scare straight board (board is open-ended) on the turn. Any suggestions for an abbreviated strategy, or, if you’re feeling heroic, and interest in creating one? That is, a strategy with far fewer rules, which only gives up 1-3% compared to optimal play? Nice work on the simple strategy! That’s impressive that it only gives up .6% compared to the advanced strategy, with FAR fewer rules. Great site overall, too. i didnt see an answer to the question . Is there a THB practice site anywhere in cyberland? Great basic strategy for such a complicated game. I know of a particular version of this game where I can see the river card plus one of the dealers cards after I place my ante but before I place my other 3 bets. In your opinion how much do you think this will swing the odds in my favour ? and what are my bankroll requirements ? I was just curious if someone has ever calculated hole card play for this game yet. Assuming that you could probably get a look at the bottom card of the deck, when being cut, and know that the card would be cut out of play. Stephen! I just posted in the UTH comments, but would like to extend the ideas I mentioned into this thread as well. First of all, why has no colluding strategy been created for this game? I know on Jan 19, 2012 you were considering creating and posting a collusion strategy, and then just a couple weeks later you posted that it wasn’t worth it. But it would seem to me that there would be MANY marginal hands that may turn into preflop folds if we knew they were copied. On my recent trip, I had many marginal hands that I decided to fold because they were copied (hands like 94, T2, 73, etc.) and I definitely ended up saving $$$. Obviously, tons of variance and very small sample size, but if even 1 hand an hour more is folded (with an easy collusion strategy developed) and $$ is saved that would have been lost, this would seem to eradicate the house edge and most likely make t +EV. Also, what I posted about dealer errors has GOT to be able to make up for the house edge in this game, doing the same kind of mathematical egwork as was already mentioned. Feel free to email me with your thoughts, if you don’t want to post them here. I have a bit of mathematical background and would be more than willing to help you crunch some numbers. If there is 7 open box, can you calculate the possible strategy to colluding this game. How can i contact you by email. Having trouble understanding the last decision point in this strategy (Unless scare board, Bet nut kicker with open-ended straight draw, or 4th nut flush draw). Does this mean you only bet if you have an ace? Sorry if I am missing something here. What is the probabilities of player losing with straight or better?